For me, Summer is all about burgers on the grill and debating who has the best pork BBQ in town. The dress, the cuisine, and the attitude are all about being relaxed and casual – so the question becomes finding a well-crafted, flavorful wine that can stand up to hearty summer fare yet isn’t so expensive that you have to take it too seriously. After recently tasting the 2013 Murrieta’s Well The Spur Red Blend, I’m convinced it’s the perfect wine to savor during our last few days of Summer. 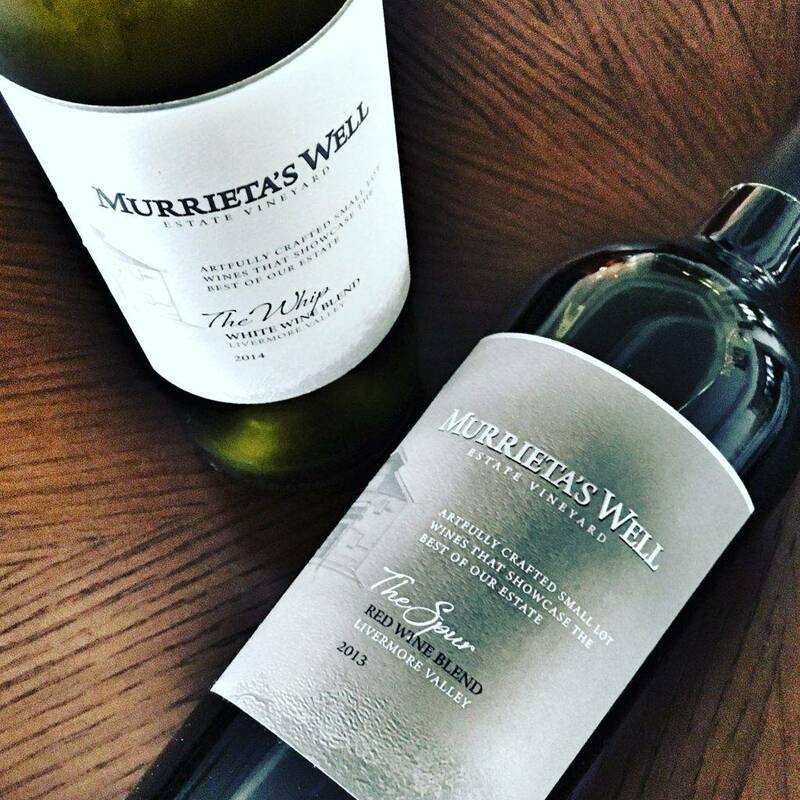 Murrieta’s Well produces exclusively estate-grown wines from their 500 acre estate in California’s Livermore Valley. At Murrieta’s Well, acclaimed Winemaker Robbie Meyer takes great pride in identifying key microclimates on the estate and crafts each vintage from a unique blend representing the best of what the estate has to offer. In his nineteen year experience as a winemaker, his wines have earned over ninety 90 point ratings, yet still manage to offer a lot of bang for the buck. Click this image to check out more from my Instagram feed! Nose: Quite fragrant and spicy revealing plenty of rich dark fruit flavors interlaced with white pepper, coffee and toasty oak. 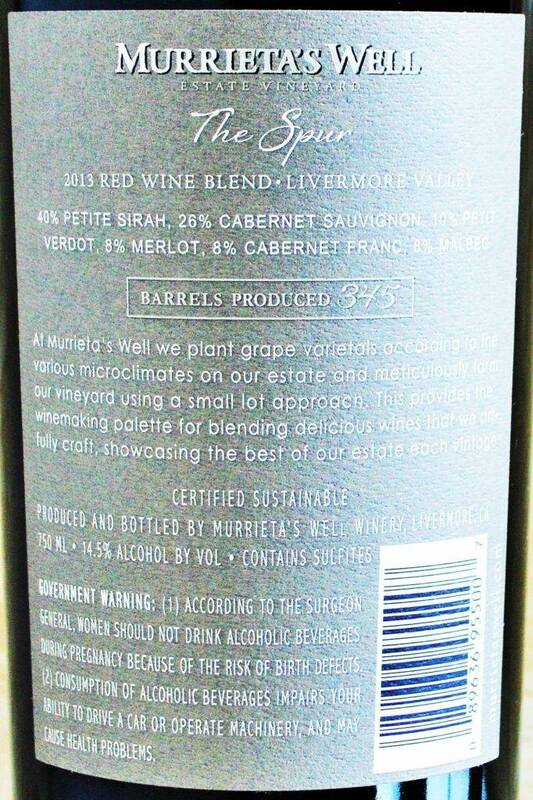 On the palate: Medium to full-bodied, the “The Spur” by Murietta’s Well is bold, juicy and spicy in the mouth as layers of black raspberry and sweet cassis unfold against a backdrop of smoke, white pepper, coffee and licorice. The oak influences are nicely integrated and despite its generous flavor profile, the entire package is seamless and well-balanced. Finishes dry with good persistence and and a hint of grip from finely grained tannins. Varietal Composition: 40% Petite Sirah, 26% Cabernet Sauvignon, 10% Petit Verdot, 8% Merlot, 8% Cabernet Franc and 8% Malbec. Should you buy? If you’re looking for a well-crafted red wine value that’s bold enough to stand up to hearty dishes yet sophisticated enough to sip and savor on its own, then the “The Spur” by Murrieta’s Well is a fantastic option. This would be perfect paired with a juicy Gorgonzola stuffed burger fresh off of the grill. 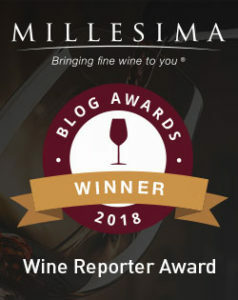 I was initially somewhat skeptical of this wine, and as I recently wrote about, I am not always a huge fan of Petite Sirah – which is the primary varietal in this particular vintage of The Spur. It can produce wines that are just too boozy and peppery for my taste, yet this example by Murrieta’s Well seems to only have gained from the rich, flavorful varietal. I guess Robbie Meyer has got the art of the blend down pat! Even at the full retail price of $30, this wine would easily hold its own against similarly priced offerings. But the fact that this can readily be found for less than $20 and that it comes equipped with a convenient stelvin enclosure (screwcap) all but ensures that the Murrieta’s Well “The Spur” Red Blend is sure to be the life of the party at your next summer soiree. 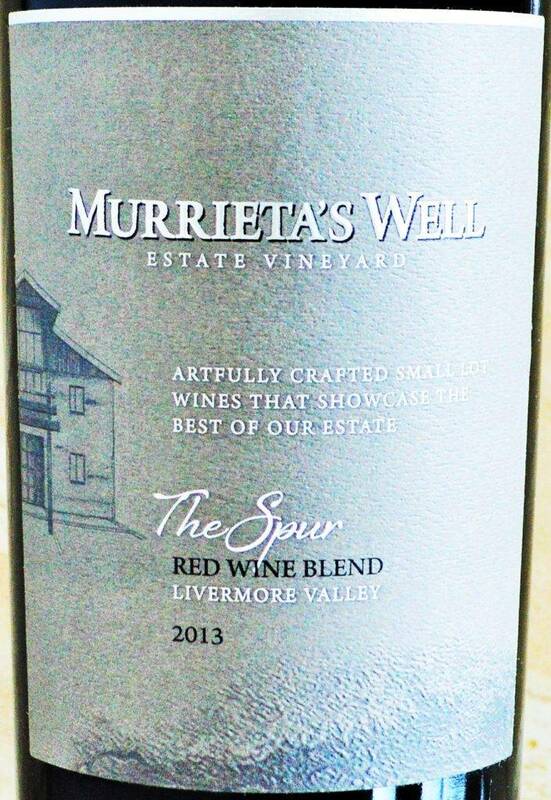 This entry was posted in Between $15 and $19.99 | Reviewed, Between $30 and $49.99 | Reviewed, California Wines - Reviewed, Red Wines, Under $30, Under $50, Under $75 and tagged Murrieta's Well The Spur Red Blend 2013 Price, Murrieta's Well The Spur Red Blend 2013 Rating, Murrieta's Well The Spur Red Blend 2013 Review, Murrietta's Well The Spur on September 1, 2016 by The Fermented Fruit. I live in PR and they don’t carry most of the wines you reviewed.. Sorry to hear that Rosie. Have you tried buying them online directly from the winery?